This presentation will raise a number of questions regarding the complex relationship between feminist ideas and cooking under capitalism. 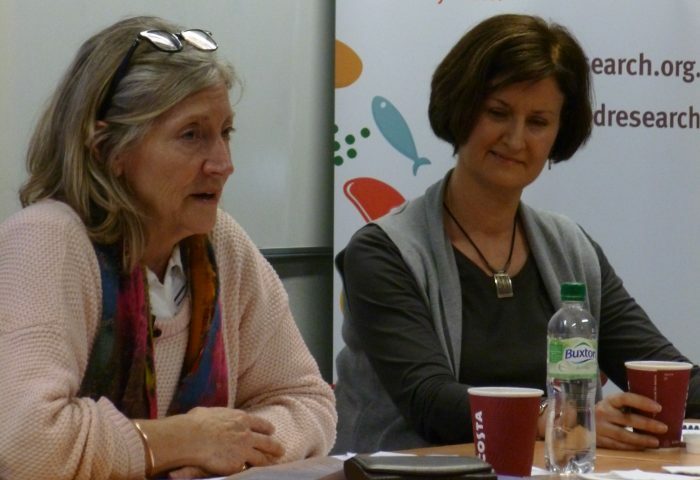 Focusing on the British context, it will depart from the founding of Spare Rib in the early 1970s to trace how food companies – in a way – colluded with the early Women’s Liberation Movement to promote meals that did not need cooking, and then how this has gone out of control. The presentation will attempt to reconcile feminist beliefs about women not being dumped with doing all the cooking, and the very real need not to feed ourselves and others on processed meals. We now say ‘we have no time’, but how we spend our time is a choice, and we have chosen not to spend it cooking. About the speaker: Rosie Boycott co-founded the feminist magazine Spare Rib, along with the publishing company Virago Press. She was the editor of men’s magazine Esquire, and the first woman editor of national broadsheet and national mass-market newspapers (Independent, Independent on Sunday, Daily Express). 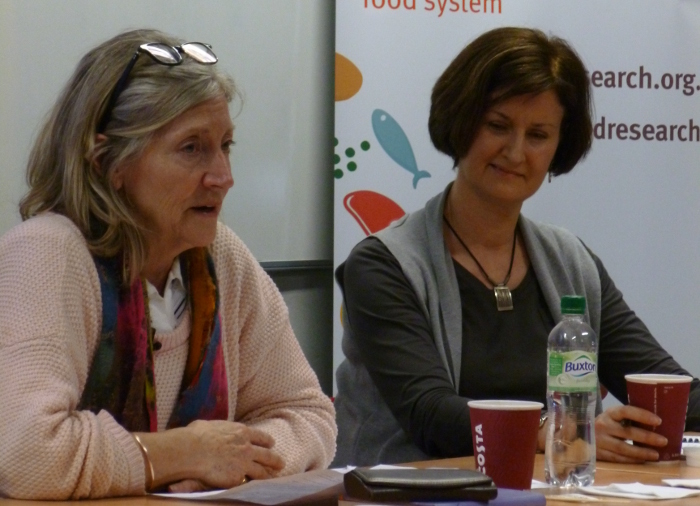 She is also an author, broadcaster, filmmaker, and Chair of London Food Board. Deborah Johnston (SOAS) will present a paper co-authored with Jasmine Gideon (Birkbeck, University of London). This paper reviews the new wave of agri-nutrition policy documents that have appeared since the food price crisis of 2007/8. The authors find that many policy documents either fail to mention gendered or class-based differences – or consider them in a limited way. In the case of gender, many studies take a narrow approach, failing to draw out the range of restrictions facing women as farmers and consumers of food. The paper concludes that too often policy ignores the multiple ways in which people acquire food in complex food systems. About the speaker: Deborah Johnston is a Reader in Development Economics at SOAS, University of London. She works on labour, gender, poverty and health in Sub-Saharan Africa broadly. She is the author and co-author of a number of articles in this area including: (2015) Agriculture, Gendered Time Use, and Nutritional Outcomes: A Systematic Review. International Food Policy Research Institute (IFPRI); and (2013) Agriculture for improved nutrition: the current research landscape. The paper’s co-author, Jasmine Gideon, is a Senior Lecturer in Development Studies at Birkbeck, University of London, UK. She is the author of Gender, Globalization and Health in a Latin American Context (Palgrave Macmillan, 2014) and the co-editor of Migration, Health and Inequality (Zed Press, 2013). Her current research explores health and well-being among the Latin American community in the UK.